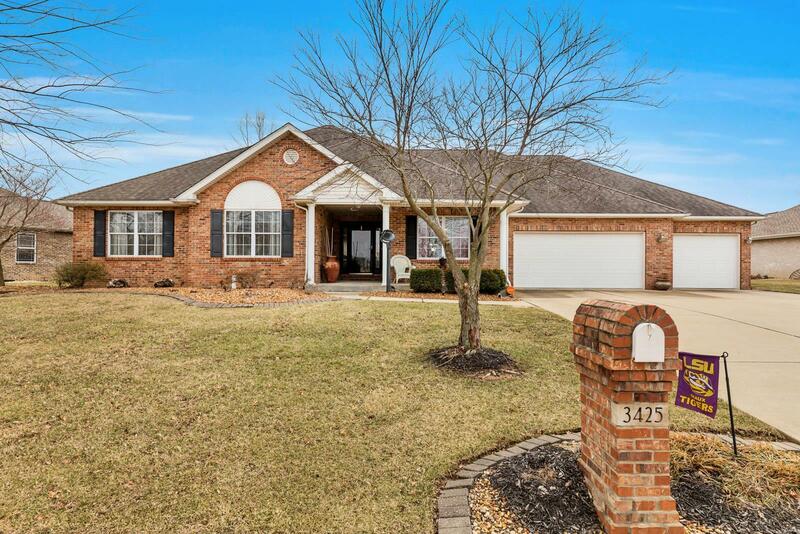 Gorgeous 3 bedroom Swansea home in the Wolf Branch school district! As you approach the home note the exceptional curb appeal offered by the brick exterior, covered front porch, & extensive landscaping. Step inside to find the formal dining room on your right, & generously sized family room straight ahead featuring beautiful hardwood floors, vaulted ceiling, & fireplace. The kitchen boasts granite counters, breakfast bar, stainless steel appliances including refrigerator, dishwasher, range, & oven, not to mention the breakfast area w/ walk out to the back patio overlooking the fenced in backyard. The luxurious master bedroom suite features walk in closet & attached master bath featuring dual vanity, granite counters, garden tub, & separate walk-in shower. Other areas of interest on the main level include the sun room w/ built in desk, bedrooms 2 & 3, 3/4 bath, laundry room w/ mop sink & cabinetry, & full hall bathroom. Also noteworthy are the smart home system & alarm through Vivint.